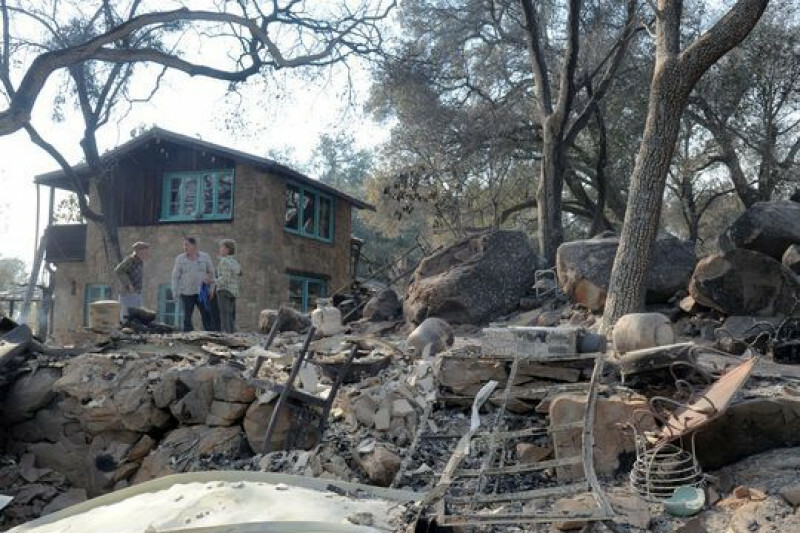 So the mircle of Karen Dron and friends saving Dronhame is viral https://www.usatoday.com/story/news/nation-now/2017/12/08/surprised-california-fire-survivor-oh-my-god-have-home/933675001/ , but what wasn't reported were the layers of loss. Karen lost 100% of her water systems for her primary residence which is a spring 1/2 mile away through rough terrain and a creek likely to flood within the year. Her rentals were obliterated so retirement income impacted on properties that were "uninsurable" according to insurance companies. Any extra money will be used to preserve water rights for a future Sisar Canyon rebuild. Any help is appreciated and will be paid forward.